If the practice runs on an appointment system make sure you schedule an appointment and don’t just arrive and expect to be seen immediately. Also make sure that you are on time for your appointment. Animals tend to become ill overnight because in nature they cannot afford to show signs of illness or disease, as weak animals are likely to be bumped down the hierarchy, or taken out by predators. It is therefore commonplace, even in veterinary practices with appointment systems, that you may have to wait for the vet because of an earlier emergency they are dealing with when you turn up for your appointment. Be patient and be reasonable. One day, you may be in the position of bringing your pet in as an emergency and you would appreciate patience and kindness from other pet owners. Make sure you explain clearly and with as much detail as possible to the vet what you think the problems with your animal/s are. People often make the statement that vets are so much better than doctors because their patients cannot speak. Fact is, the owner or caretaker is the animal’s voice. Without a detailed history, the vet’s work is significantly more difficult. For instance, if your animal has a loose stool or problems with urinating, take a sample along to the vet if at all possible. 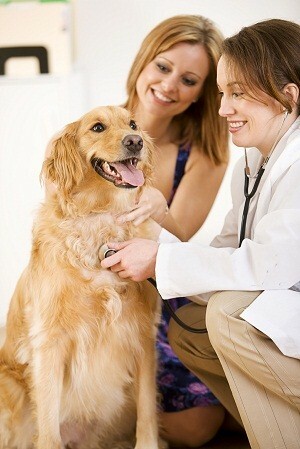 This will expedite the vet’s ability to make a diagnosis and prescribe the correct treatment (saving time and money). When the vet explains to you what the problem is with your animal, do not hesitate to ask if you do not understand the terms used or if the meaning of the diagnoses is not clear to you. Vets, like medical doctors, have their “own language” where a single term often describes a whole syndrome or system problem. This “language” has been developed over years in an attempt to make the meaning of conditions, diseases, symptoms and treatment universally understandable to vets all over the world. The many years of veterinary study, sometimes embeds this principle of using veterinary terminology when speaking about animal conditions so thoroughly, that vets sometimes do not even realise that the owner has no clue what they are talking about. Don’t be shy to ask. You need to know exactly what the problem is with your animal and how to treat or prevent a similar condition occurring again in future and therefore your understanding of the condition and the terminology used will be of much value to your animal. Thoughtful vets will make an effort to explain conditions clearly, and in terms which are understandable to all. A good vet may even ask you to explain your understanding of the condition and treatment to him or her after first explaining it to you, so they are sure you understood it well and will be able to explain it to the rest of the family. If the vet recommends a treatment which involves you physically working with an animal in a way that you do not feel comfortable with, or that you have never done before, do not hesitate to communicate this to the vet and ask him or her again to show you how to do it. Vets appreciate owners who are involved and carry through with treatment. Unfortunately vets sometimes just accept that everyone will be as comfortable as they are with administering treatment to animals, whether it be oral (via the mouth) medication or changing bandages or wound dressings, or putting medications into the ears or eyes of animals. If the vet prescribes medication to your pet, especially antibiotic medication for an extended period of time, complete the whole course of treatment even though the pet might show signs of improvement a few days into the course. With antibiotics especially, it is critically important to finish the whole course. Ending treatment early may lead to relapses or to bacterial resistance, which may require more or different treatment, probably costing a lot more money and even compromising your animal’s health and wellbeing in the short and long term. Make sure that if your pet has to be hospitalised, that the practice has your most up to date contact details. Just imagine the frustration on the practice’s side when they are unable to get hold of an owner urgently, and then discovering that the owner’s details are outdated or incorrect. Also if the vet tells you that result will be ready by the following afternoon, do not phone the practice in the morning and ask if the results are in yet. Most vets will phone you as soon as they have answers and therefore putting extra pressure on them for information just takes up valuable time, which could have been spent better, to the advantage of your animal. A veterinary practice which delivers quality diagnostics and treatment costs money to run, so don’t leave the vet waiting for payment. A veterinary practice is a business just like any other business where bonds, staff salaries, rent, water and lights, stock, insurance and all kinds of business expenses have to be paid. Not paying your vet’s bill puts the vet under financial pressure, which in turns takes away their focus from their primary work, which is animal health and taking care of your pet. Vets will often tell you that the best clients are clients who pay their vets bills on time. Like with most things in life, your visit at the vet is what you make of it. If you behave in a courteous and friendly manner, the favour is likely to be returned. If you communicate well with the vet and ask questions when you do not understand, the vet will make an effort to communicate well with you too. If you follow through with treatment and pay your vet’s bills on time, your vet is likely to be endeared to you and your pets, and sharing the care of your pets will become very rewarding and a lot of fun.